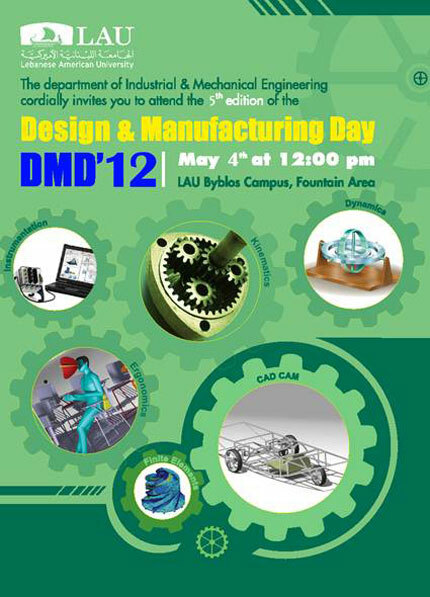 The Department of Industrial and Mechanical Engineering is organizing the 5th Design and Manufacturing Day with undergraduate industrial and mechanical engineering students from different academic grade levels, exhibiting their projects. All students are encouraged to attend as they will have the opportunity to interact with students from different engineering backgrounds. The 1st DMD was held in spring 2008 and since then has become a yearly exhibition.